Roll your way across the USA! 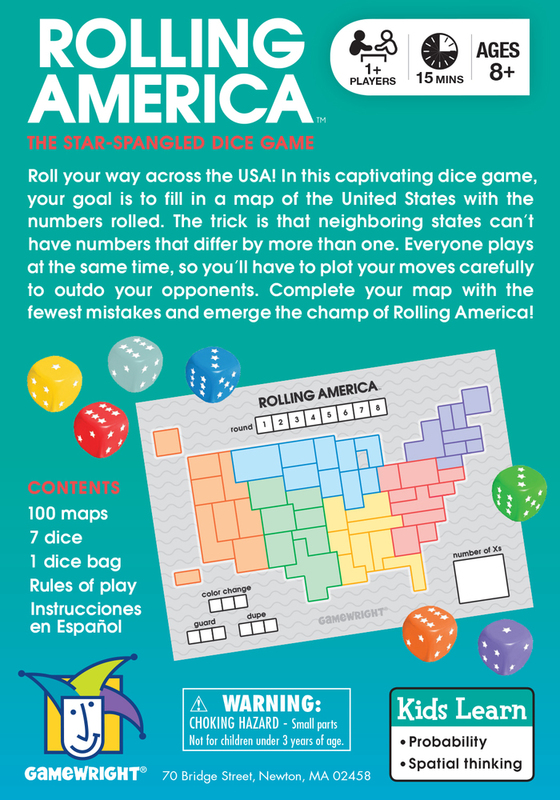 In this captivating dice game, your goal is to fill in a map of the United States with the numbers rolled. The trick is that neighboring states can’t have numbers that differ by more than one. Everyone plays at the same time, so you’ll have to plot your moves carefully to outdo your opponents. 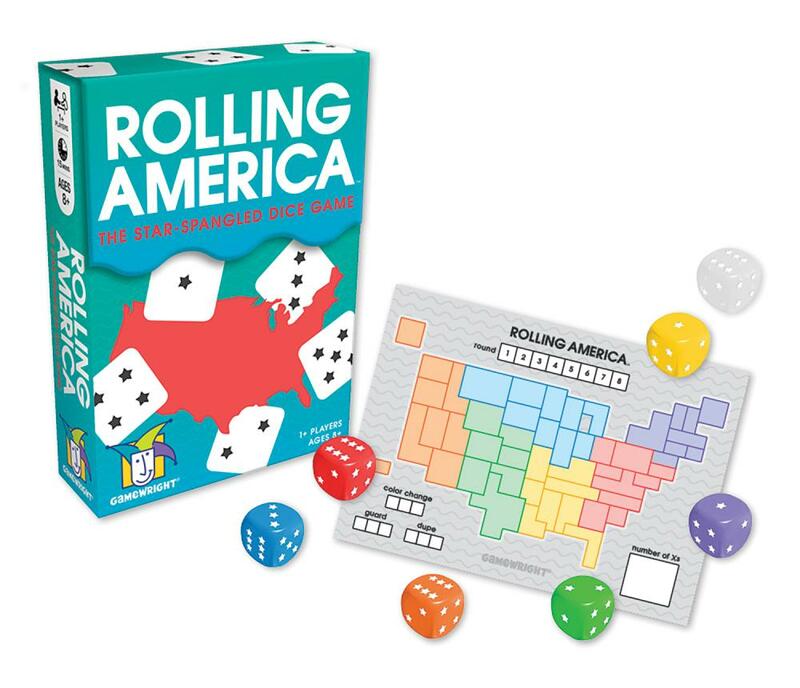 Complete your map with the fewest mistakes and emerge the champ of Rolling America! 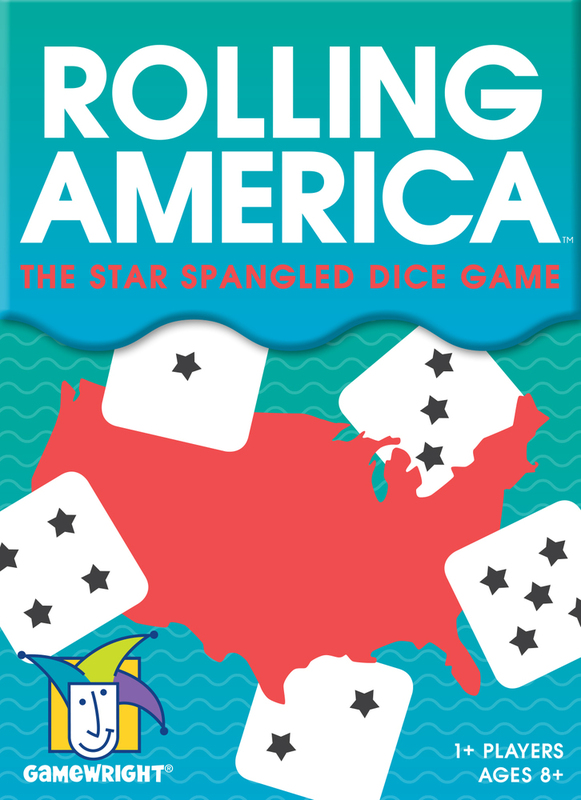 Whether or not you are familiar with the layout of the United States, you will see America in a whole new light after playing this dice game. Inventor Hisashi Hayashi crafted a unique system that deftly combines visual strategy and planning with a dash of dice-rolling luck. You’ll need to think through each number placement carefully as you fill in your map. You’ll also need to wisely utilize the three special powers (color change, guard, dupe) if you want to get a perfect score. Speaking of which, we’ve played dozens of times and have yet to get a score below 5 Xs. See if you can outdo us and send us a Tweet with your complete map!